NEW-LOOK COVER! Our January 2017 issue comes with a FREE Beginners guide. The main issue is packed full of features and advice including: Marine on a budget, converting your freshwater tank, a readers' magnificent 6ft Malawi display, breed black Neon tetras and all your FAQs answered. Choose the right tank for you. 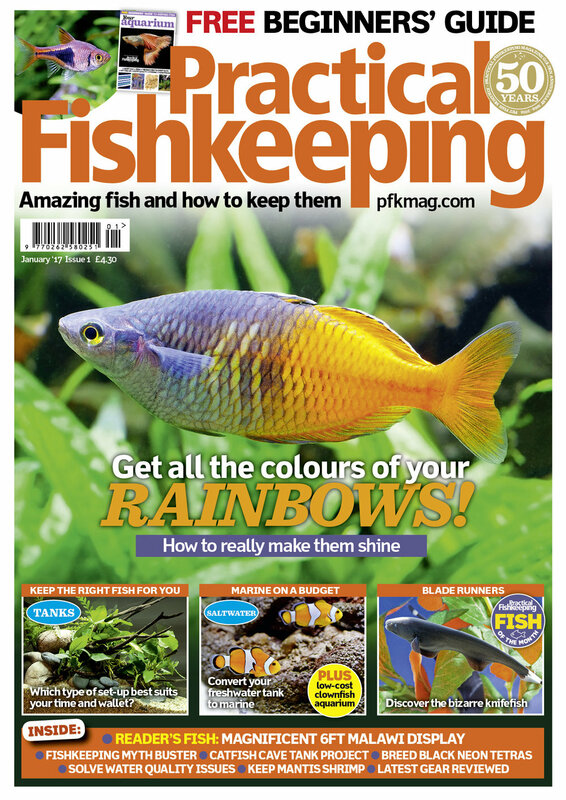 And meet our cover star, the Rainbowfish.